Metro Vancouver’s public transit authority is testing the use of low-floor community shuttle buses. 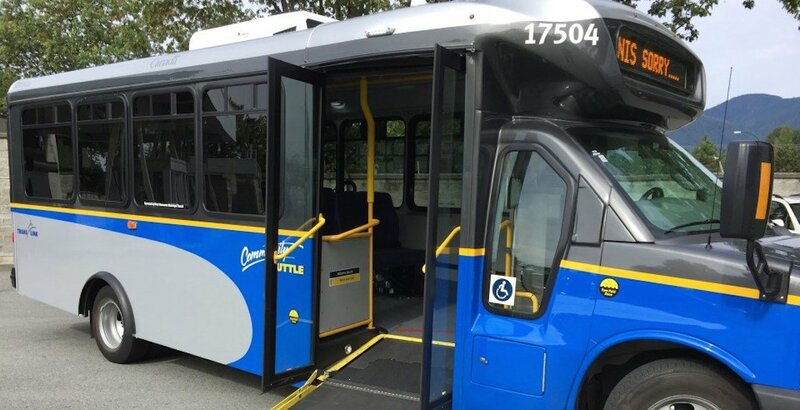 According to TransLink, the five low-floor buses running as part of a pilot project on West Vancouver Blue Bus routes do not have any steps. As well, for added convenience, the wheelchair ramp is located at the front door. The new entry point using the low-floor design makes shuttle bus travel easier for those with mobility challenges. 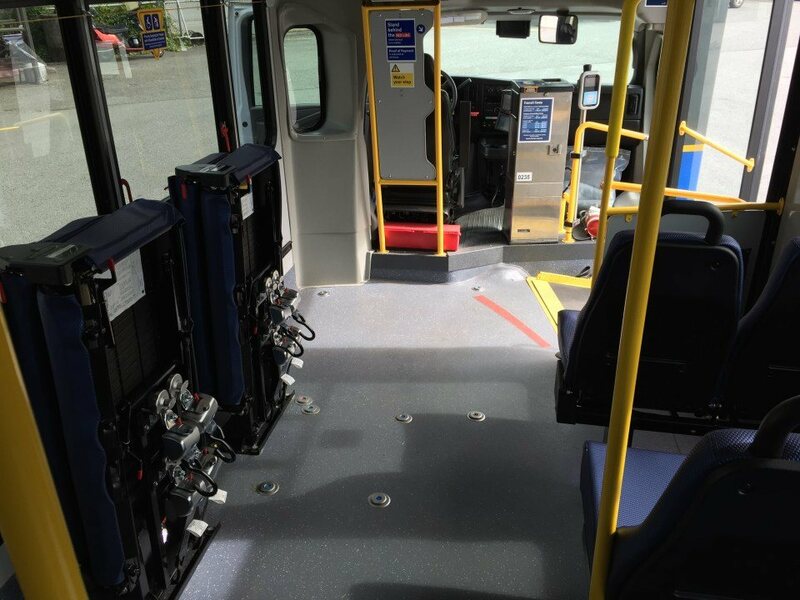 On the existing high-floor shuttle buses, the ramp is located on the rear of the vehicle and requires the ramp to be raised up from the floor level to the bus cabin level, which is a time-consuming and inefficient process for loading strollers or passengers with disabilities. Additionally, this model of shuttle bus features more interior space, improved seat design, and larger passenger windows. 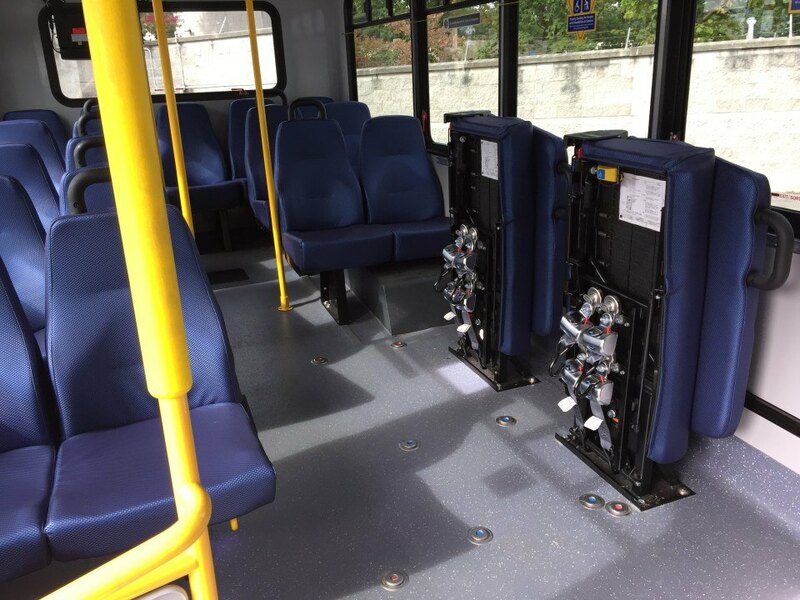 Each bus has a capacity for 20 people, including up to four standees and two wheelchairs. For the time being, these buses will only operate on the C12 Lions Bay/Caulfield and 251 Queens/Park Royal routes. If the pilot project is deemed a success, TransLink will acquire an additional nine low-floor shuttles in 2018 and a further 49 in 2019. These buses are already used in jurisdictions across North America, including Victoria. The transit authority will also test the use of double decker buses for long-haul suburban routes later this fall, and a multi-year electric bus pilot project will begin next year. All regular 40-foot, two-door buses and 60-foot, three-door articulated buses in TransLink’s fleet are already low-floor models.